A spectacular facade says a lot about a house as well as the family that live in it. It also speaks volumes to guests! 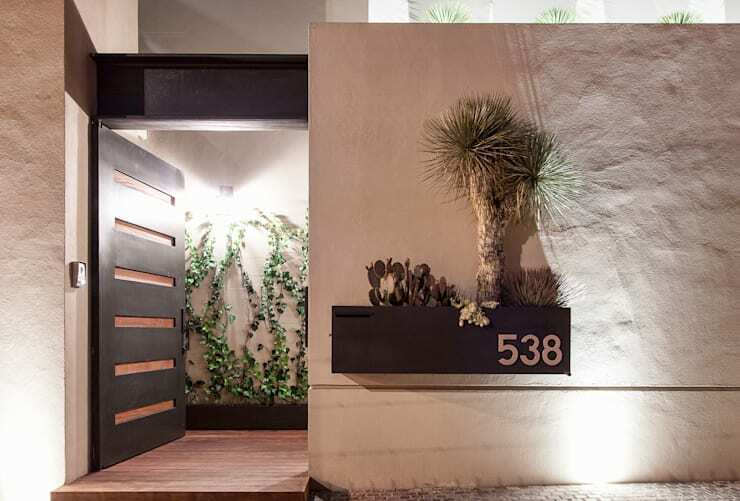 Your entrance is incredibly important and should be synonymous with aesthetics as well as functionality. However, here at homify, we believe that if you have to see it to believe it, we will pull out all of the stops! 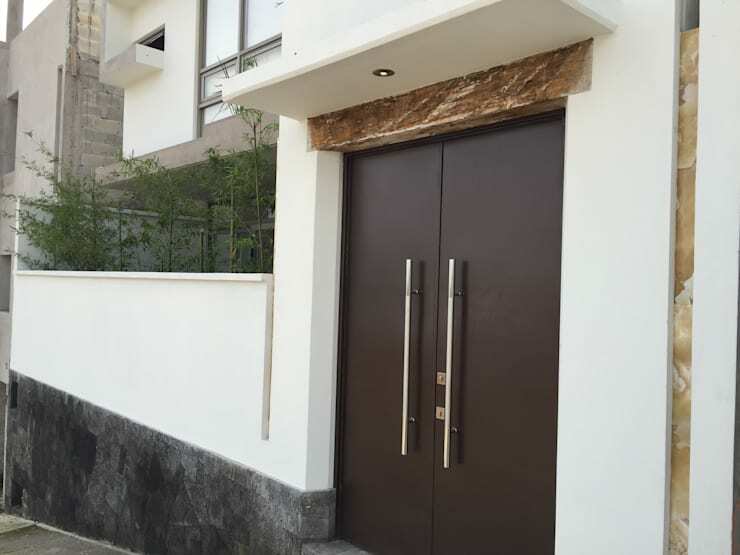 So if you are thinking about giving your home a little make-over or you want to make your entrance a little more exciting, then this article is for you. 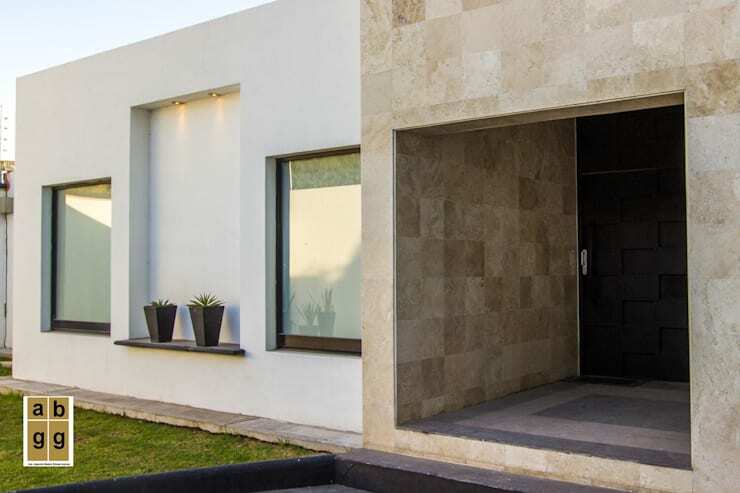 We will show you 8 modern ways to renovate your entrance so that it represents perfection and style. Every time you make your way through the entrance of your home, you should be blown away by how beautiful it is even if you see it every single day! Explore these unique designs with us today and pick up some tips and tricks for your own entrances! Maintaining a gorgeous facade can be a little bit overwhelming with so much to think about that we lose count. When in doubt, start with the garden. Believe it or not, having the garden pruned, well-watered and decorated with beautiful flowers will make all the difference. It doesn't matter if your front garden is small either, it requires just as much care. You may even want to place a stone path, which leads to your front door for an added touch of elegance! 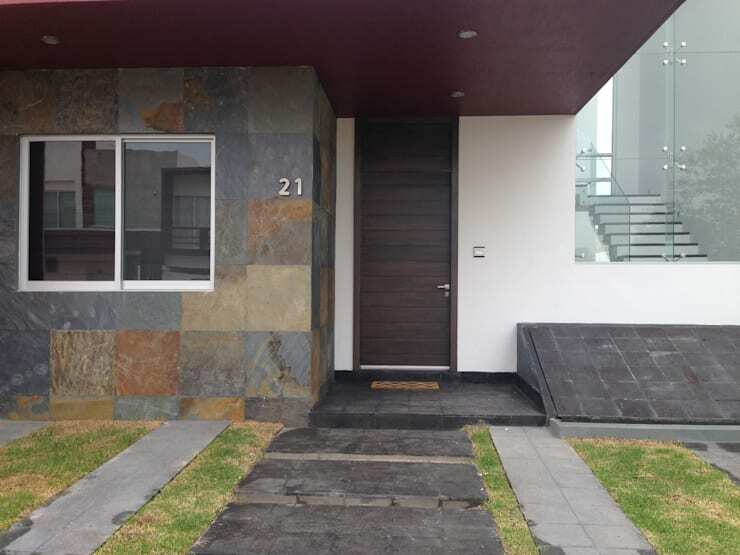 When it comes to decorating the facade of the home, you have to take into account what aspects you want to emphasize and what aspects you don't want to emphasize. In this case, the architects have taken advantage of the number of the residence, turning it into a beautiful little garden on the wall. In the background, we can also see how the lighting has been used to illuminate the details of the design, while creating an interesting focal point without detracting from the rest of the design. While there are all sorts of details that you can add to your entrance, sometimes simple is better. It is very common to apply paint, for example, on the walls, ceilings and railings, but this can become quite a process when it comes to maintenance. Think about how quickly paint peels in the sun! Rather use the materials in this space, such as wood, bricks and stone slabs, to introduce texture and tone to the environment. These are easy to maintain and look gorgeous. The aesthetic appeal of our facade can be characterised by simplicity, as we've mentioned before. 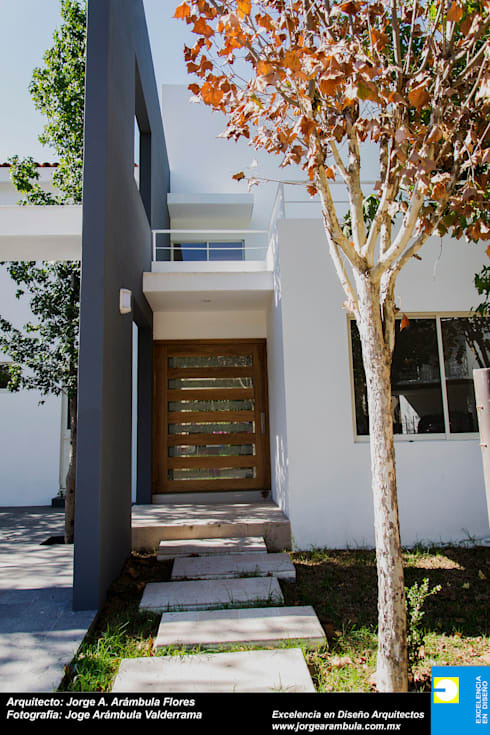 Opt for clean lines and a minimalist look and feel by including only the most functional of elements such as the main door, the cladding and the surrounding wall or fence. This is a cost-effective option and makes it much easier to maintain! Add a plant here or there for a touch of beauty—but make sure that you water it! We all know how soothing water can be, so why not use it to enhance your exterior design? As we can see in this project, lights have been used to add an even more attractive effect to the water feature. Walking along this pathway to the front door is sure to be a gorgeous experience! Water features can make the entrance of your home an unforgettable design! Have a look at these 12 mouth-watering modern South African patio and garden ideas for inspiration. When it comes to coating our exterior space, it's good to think carefully about the materials that you are going to use. 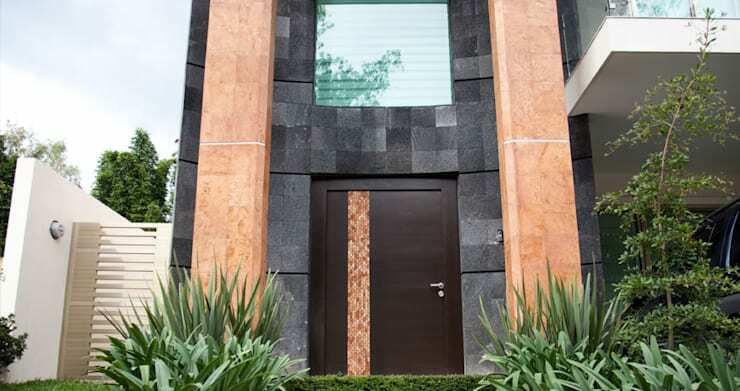 If you want to use granite, for example, this can be a great option as it is durable and resistant to weather damage. Besides being aesthetically beautiful and striking, it can also work in harmony with rustic stone slabs or glass. Another very practical way to create a distinctive exterior design is to use small pots as part of the decoration of the facade. If you are battling to find a spot for the pot plants, why not utilise a niche in the facade, like we see in this design? 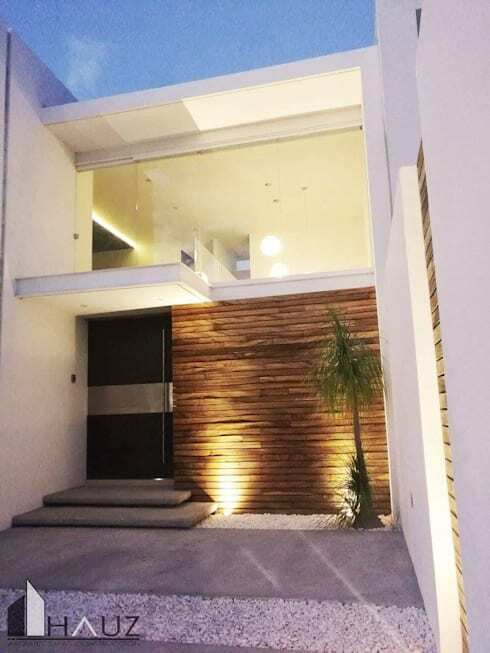 You can also use lighting to further enhance the details of this design. You will create a beautiful focal point! Another way to redesign your entrance is to replace your front door with a far more modern version. Choose a bright design or a contemporary piece for a unique look and feel. Don't be afraid to let your personality shine through when it comes to picking a door! There are also so many options from wood, to steel to glass. Use your front door to have the last say! If you've enjoyed this article, you'll also love these 10 beautiful entrance ideas to surprise your guests. Which entrance is your favourite?